We design safe, reliable and secure network solutions. We are experts in Operational Technology (OT) and Information Technology (IT) and we speak the language of both the Factory Floor and Corporate IT. By taking each group’s priorities and objectives into consideration, we bridge the OT/IT gap. Based upon the results of the OT / Cyber Audit, we will guide you through the next steps to improve the security of your network, systems and processes. 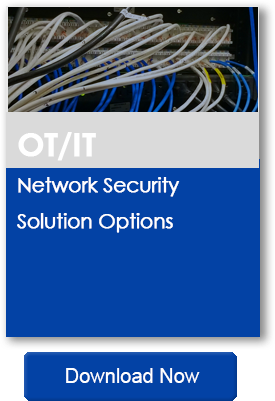 We will design the OT network solution specific to your facility by analyzing the tradeoffs of cost, administrative overhead and security risk. Our team of OT and IT professionals can assist with keeping your systems running and respond to threats if needed. We focus on achieving your goals for up-time, optimizing performance and managing recovery. Our experts have the answer.